BioSafe Systems has welcomed Mike Mallon as technical sales manager to the retail division. 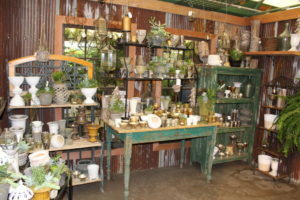 Mallon will be working directly with distributors, as well as independent garden centers and other retailers throughout the U.S. He will be providing customers with technical sales support and account management, and he will also be working closely with the entire BioSafe Systems team in the continued development of exciting new organic gardening products and programs within the retail home & garden industry. “Mike’s consumer product knowledge is a great addition to our sustainable solutions program. I am excited to have him as a part of the retail team”, said Tammy Raymond, retail market segment manager. Mallon has an extensive background in the retail consumer products industry, which spans over 25 years of retail, manufacturing and distribution in garden centers, hardware and hydroponics channels. His experience and energy will help to ensure that our valued customers get the continued personal attention and customer service that BioSafe Systems is so well known for. BioSafe Systems, itself is celebrating 20 years in the growing industry. Mike and the retail team will be at many upcoming trade shows this year including Cultivate, IGC and NGLS.